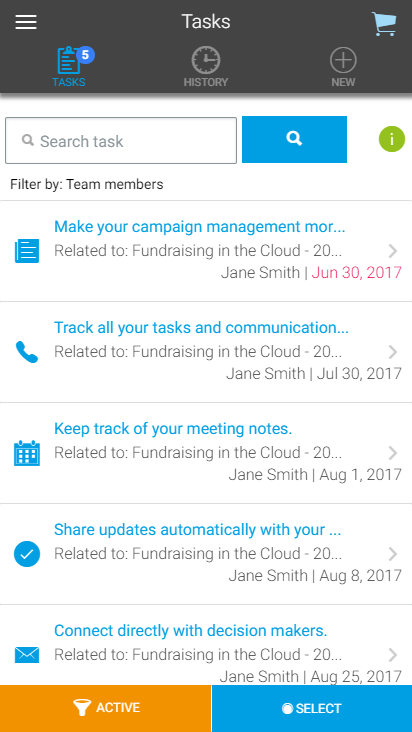 The list on the Tasks tab is sorted by due date. Overdue and soon due items are displaying at the top of the list. 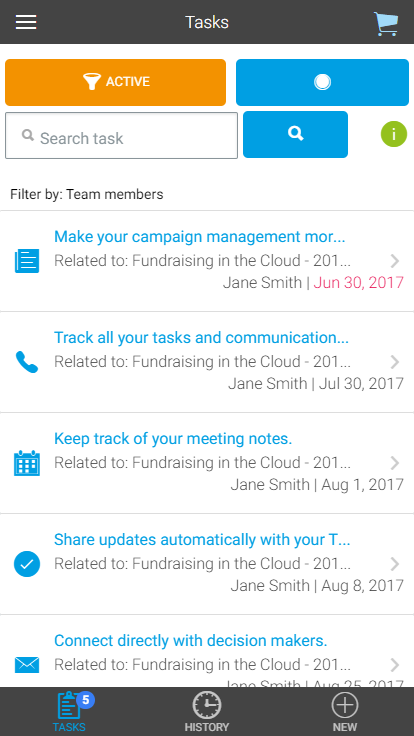 The History tab shows all tasks that were marked as “Done” and is also sorted by due date. 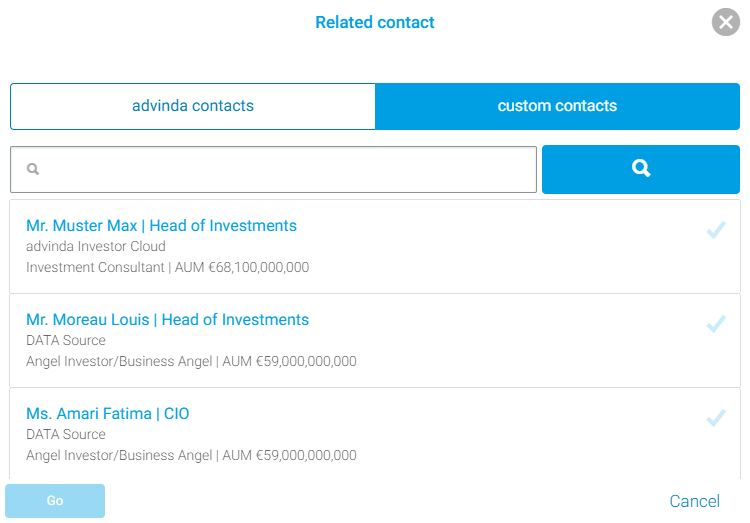 Related to: You can specify to which Campaign, Contact or Account a task is related to.Select from the dropdown the relation type and a pop-up will open. 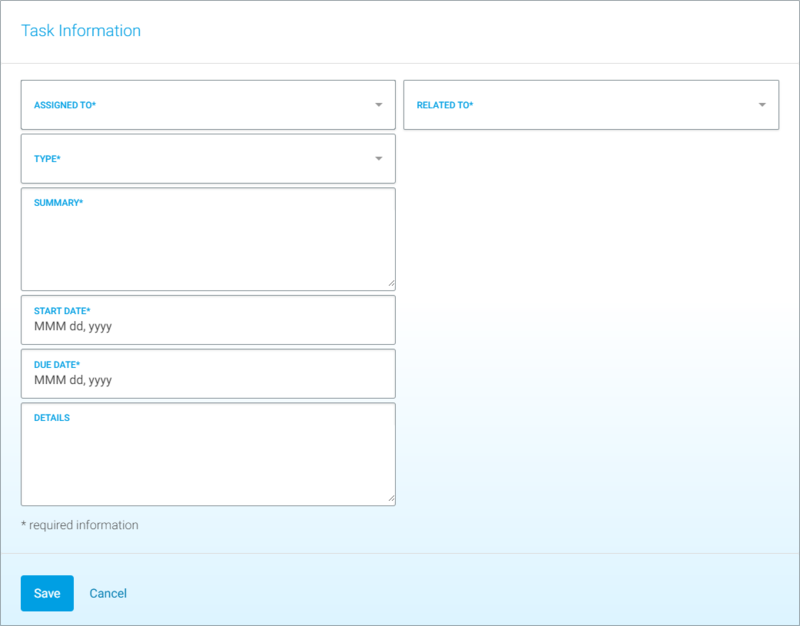 You can search for a campaign, account or contact within the pop-up. Fields marked with an asterisk are mandatory. 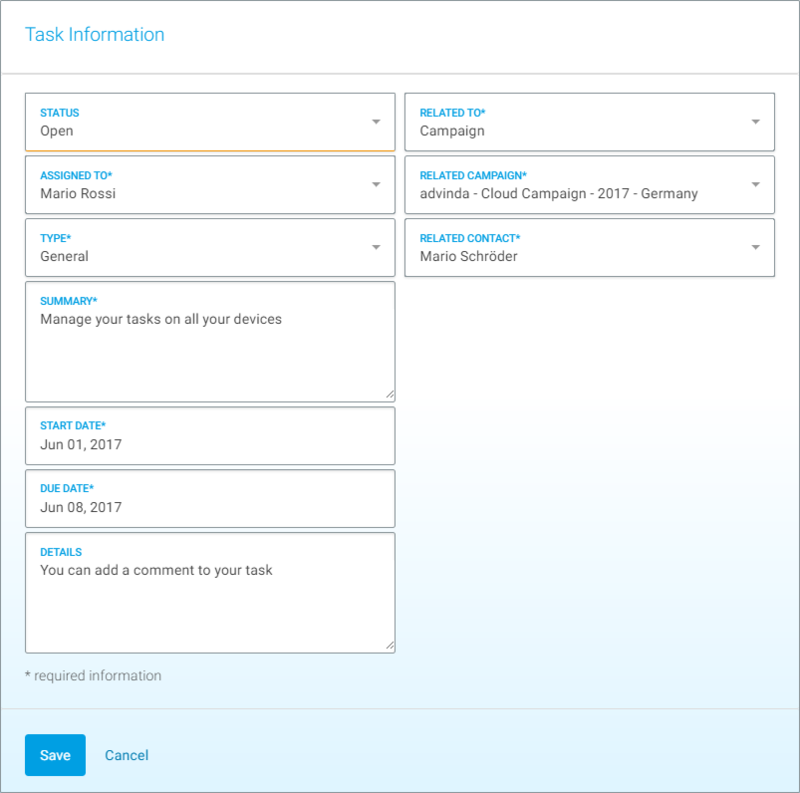 You can navigate between tasks, task history and creating tasks creating using bottom bar. Commands can be found on the top. 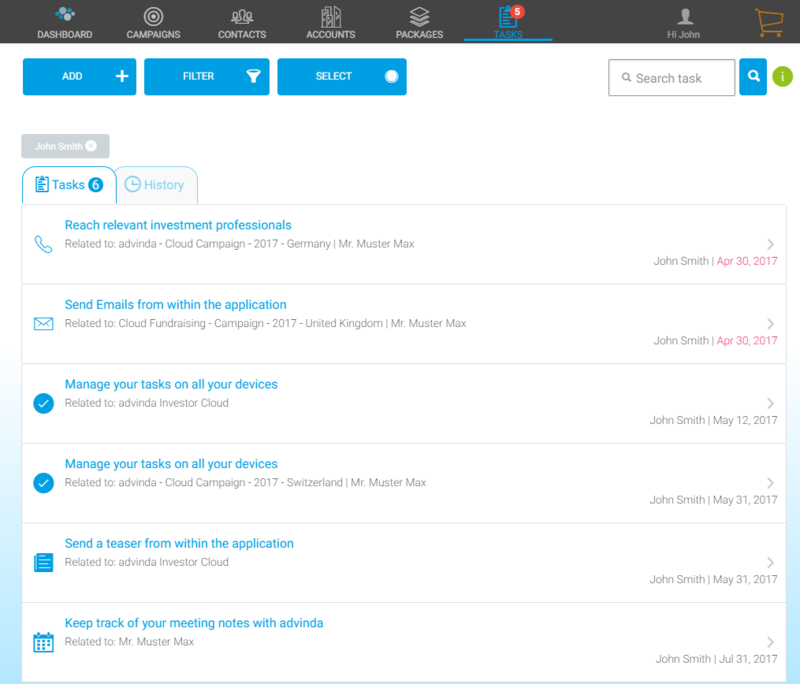 You can navigate between tasks, task history and creating tasks using the top bar. Commands can be found on the bottom.